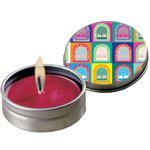 A custom full color aromatherapy soy candle in a travel tin with your full color logo. 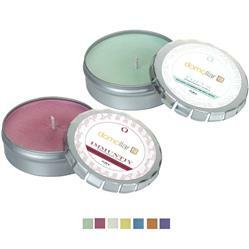 Add some warmth to your next promotion with a fragrant and essential oil infused, soy wax candle. Featuring a selection of scent options. Up to 5 hours burn time. Typical Imprint Area(s): 1/2" x 7/8"